While it is not implicitly forbidden to travel to Crimea annexed by Russia, problems must still be considered after returning from its beaches. 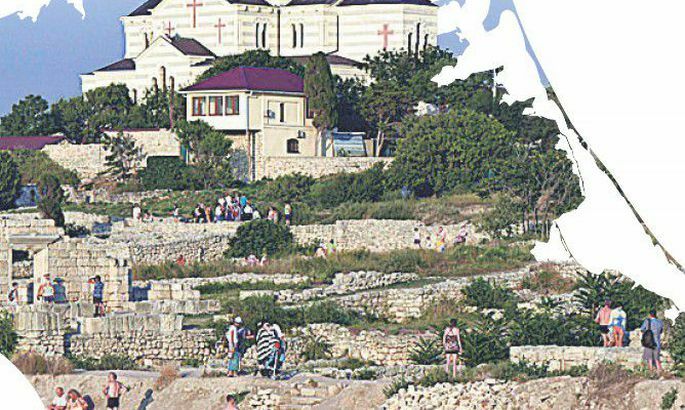 Den za Dnyom, a Russian language weekly newspaper in Estonia, decided to look into the topic of Crimea after Russia’s consumer protection agency published a check-list for people in the land intending to visit Crimean peninsula. To be sure, this triggered upset in society and heart of the President who saw this as casting doubt on state’s stand regarding the legality of unification of Crimea. The consumer protectors explained that several dozen people in Russia had addressed them, such as had after visiting Crimea run into problems with getting visas into Schengen states and America or Ukraine. Thus they decided to warn the people. As Russian citizens need no visa to travel to Crimea, it must be assumed that the problems occurred when they booked the trips and hotels in Internet with credit cards (the use history of which can be traced). In all likelihood, information was also gleaned from social networks where people love to post pictures of vacations. Den za Dnyom inquired what might be the consequences for inhabitants of Estonia when visiting Crimea. Education ministry and Tallinn city government failed to comment. The former refused to reply, the latter responded not to calls and letters. As for Security Police (Kapo) press rep Harrys Puusepp, they have nothing to tell the public. He noted that when it comes to the work at Kapo, the topic is limited to protection of state secrets and avoiding potentially dangerous situations. «But this is only concerning to people with access to state secrets,» specified Mr Puusepp, adding that the list was broadened somewhat recently. «But this has already been covered by the media, and the Kapo annual review has a whole subsection dedicated to it,» he noted. In that chapter, the talk is mainly about people with access to state secrets obligated to notify employers of trips to risk nations, the aim of the trip and its duration, and naturally of any suspicious contacts. Unlike the security police who is not public about all details of their work, representatives of political parties are able to do so. From IRL, we talked to former security police director-general Raivo Aeg. EKRE head Mart Helme said he could not comment activities of Kapo, but said the latter would probably monitor trips by inhabitants of Estonia to Crimea even of to understand who of permanent residents in our country, and to which degree, might be involved in their politics or military activity in Eastern Ukraine. «This is the routine activity or all intelligence services, especially in view of the current extremely intense relations with Russia and that the Estonian opinion is that Crimea is a territory annexed from Ukraine,» specified Mr Helme. Should Kapo have basis to think that Russian special services may have recruited an individual, or with other issues related to security, a private person may naturally be called by Kapo to have a talk. «Things are totally different with civil servants. With these, it is logical for Kapo to summons them in order to collect information,» said Mr Helme. The famously sharp-tongued Reform member Igor Gräzin said he would divide the topic into two, distinctively. As the Reform Party where Mr Gräzin belongs is also in charge of the education ministry, we asked whether teachers could visit Crimea with students to familiarise themselves with the nature and culture. At that, the man admitted he failed to understand the hysteria around Crimea. «By our activities, we not only hinder the inhabitants of Crimea from returning to normal life, but are casting doubt on the democratic and prudent development of our own country,» he said.